At the base of every construction structure lies concrete, which has now been restyled with metal-look finishings in Gold, Rust, Corten, Arctic, Silver and Carbon. MAGNETO is the answer to the need to write stories through one's own surroundings, to define them in an original manner, making them truly unique. This prestigious project has been selected by Coverings panel of Judges as winner in the category Commercial/Tile/Design and finally won the 2019 Coverings Installation & Design (CID) Awards. Sahara Noir, its presence designs rooms with impeccable taste and rare elegance. 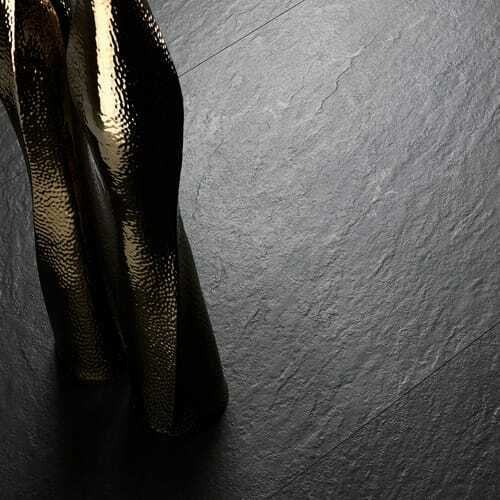 The solidity of tradition, with classic, timeless surfaces to bring the history of an eternal material into the future. On a journey marked by seemingly impossible challenges, which have nevertheless been successfully overcome, Iris Ceramica Group is now proud to announce a new milestone, the ZERO EMISSIONS project. 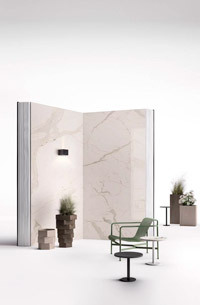 FIANDRE will be participating in Fuorisalone 2019 in the heart of the Brera Design District (on Via Balzan at the corner of Via San Marco) with the installation MateriAttiva, open to the public April 8 through 14 2019. The world's only ISO 10678, ISO 27447 and ISO 27448 certified anti-pollutant bactericidal ceramic. Iris Ceramica Group has achieved a new and important result in its continuing challenge to contribute actively and effectively to improve the quality of life. 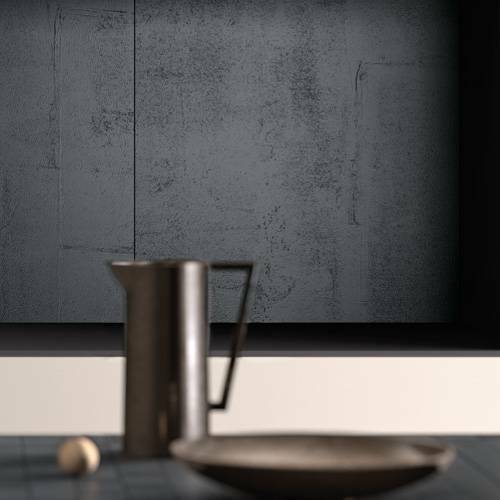 The technological progress of Active was developed through the Digitalife project funded by the European Union (LIFE ENV/IT/000140) which led to the production of new photoactive slabs with an even closer eye on the environment. 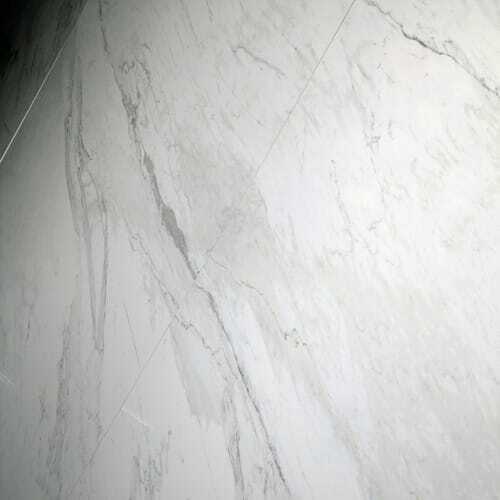 The new technology, developed by Iris Ceramica Group, still uses titanium dioxide in micrometric size, but ensures greater uniformity in the distribution of the photo-active material on the surface of the slabs, increasing the efficiency of the photocatalytic process at the base of Active. Recent laboratory tests, conducted and documented by the University of Milan, Department of Chemistry, showed a marked increase in efficiency in the photocatalytic degradation of NOx and VOC in the air, responsible for outdoor and indoor pollution.